We rely on our vehicles every day, a fact that really applies to parents of young athletes! The demanding year-round schedule of practices and travel games requires a dependable automobile that can carry a lot of equipment, orange slices and junior all-stars. Keep your sanity with a car seat back organizer. The car backseat organizer maximizes space and prevents messes by providing a place for everything in your sedan, sporty SUV, or cliché ‘soccer mom’ mini-van. Some are as simple as a foldable car trash can for stowing away wipes, napkins and fast food remnants. 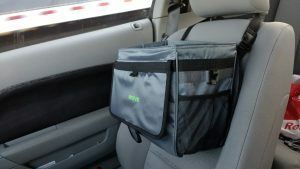 Other more elaborate back seat organizers have zippers and mesh and pockets for what-have-you. 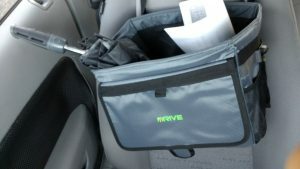 Based on Amazon reviews, we selected the most appropriate car organizer for our needs, and have been very pleased. We also looked at a few other great Amazon car organizer options so you can find the best back seat storage for your situation. We needed a car trash can, because we had fallen into the habit of just tossing trash like receipts, food wrappers, and tissues onto the passenger floor board. We even tried leaving a small bathroom sized wastebasket in our car to prevent litter, but that did not look too good. No DIY or life hack for this problem. Then we found the DRIVE Bin XL . The 15x7x10 inch dimensions provides the capacity we needed. We looked through all the car trash cans on Amazon, and this one was the most popular, alongside the smaller DRIVE bin . Now we know why. The bin comes with a few liner bags, but also fits standard plastic grocery bags perfectly. Clips hold the bag in place unlike other car trash organizers. We fortunately haven’t spilled in it yet, but padded fabric walls appear to be waterproof. The lid also sets the DRIVE XL bin apart from other car trash cans because it closes in the smells and contains all the rubbish. A magnetic clasp holds the lid in place, though we found that the magnet is fairly weak. At least the lid doesn’t move the bag out of place. Finally, the strap is easy to adjust and plenty long (41”) for securing the bag anywhere in the car. We have used it on the seat back, console and floor board. Above are a few pictures of it strapped to our seat front for display. 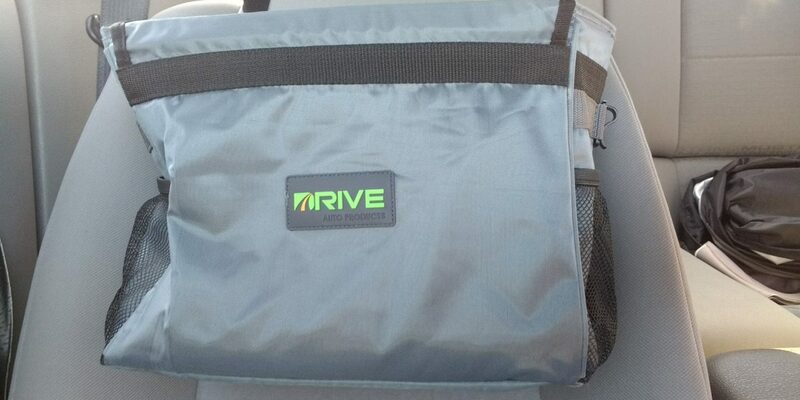 Our next purchase for auto organization may be another quality item from Drive Auto Products. We looked at all the best options Amazon lists for sale, and the DRIVE Car Trunk Storage Organizer is bigger, sturdier and cheaper than the rest. 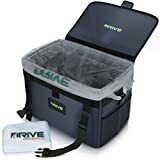 Along with your car trash can, this SUV or car trunk organizer can also be placed in the front or back seat with the optional long strap tie downs. Features include mesh pockets along the side and drink holders and other pockets on the ends. Similar to other trunk storage options on Amazon, the dividers remove easily for customizing the storage. Follow the link above to see examples this trunk organizer fully loaded. And yes, this cargo organizer is completely collapsible, folding flat should you need to throw a stroller or baseball bag on top of it. 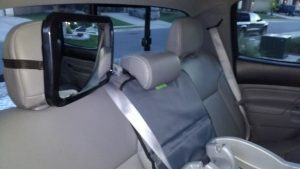 If you are toting a small crew of junior athletes around, a car trash can and seat and trunk organizer are a must. 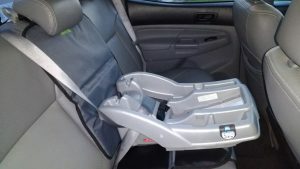 Don’t forget about protecting your seat material from the constant in-and-out of baby seats, pets, and kids with cleats! We felt we’d be remiss if we didn’t include this item from our baby registry: Drive Auto Products Car Seat Protector . This heavy duty car seat protector prevents marks and scratches, as well as permanent indentation from infant car seats on leather. We find in this product the same thick, high-quality waterproof fabric as the DRIVE car trash can and trunk organizer. 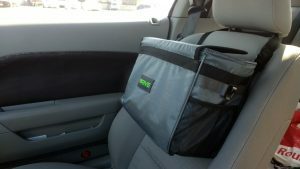 Also a no-slip backing and durable strap hold the seat protector firmly in place in your team truck or mini van. 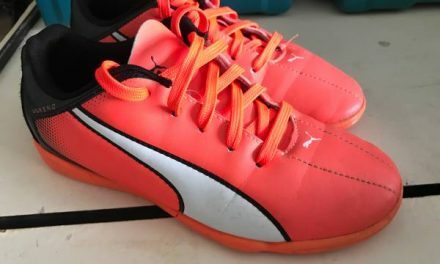 This product bests the rest on Amazon because we’ve seen that DRIVE of cheap price, larger size, and quality materials. The seat covers also come in two packs on Amazon to cover the whole back seat. For a more versatile seat protector, check out our review of heavy duty outdoor blankets. Amazon offers a wide range of seat back organizers. Some have car trash cans. Some have coolers and beverage holders. 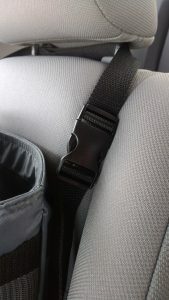 The Mom’s Besty Car Seat Back Organizer , however, was designed with one goal in mind: keep the kids happy (distracted). Thusly, they put together this innovative tablet holder with a clear viewing window. Forget the built-in headrest screens of luxury SUVs a decade ago. If you own a tablet, you can convert your seat back into an entertainment system at very little cost. It fits any size of iOS or Android tablets. We must advise against games that involve punching the screen, or just hang the organizer on the passenger seat. As seen in the picture, there are also pockets for sippy cups and action figures. If your kids regularly have distant away games, look into one of these Mom’s Besty Organizers. Let us know how you enjoy the blissful silence that ensues. UNIQUE FEATURE - TABLET POCKET with a clear touch-screen viewer window. Fits Android and iOS Tablets up to 10.1" (iPad, Samsung Galaxy, etc.) and keeps kids and back seat passengers entertained, hands-off and hands-free. Access to Tablet's ports on all sides of the pocket. 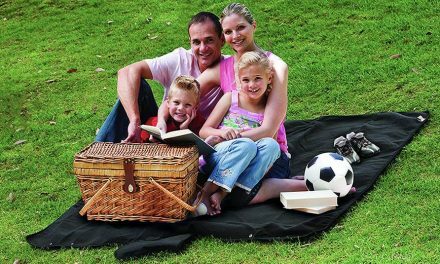 Mom's Besty backseat oganizer is dramatically different - it combines the functionality of the traditional car organizer with the modern day family life style. The best solution for entertaining rides in tidy cars! OTHER FEATURES YOU'LL LOVE: Four additional mesh pockets with elastic tops keep content securely inside. One polyester pocket for bulkier items (books, crayons, toiletries, snacks) with Velcro strap to hold things in place. Adjustable top and bottom straps with buckles make for easy installation and keep the backseat organizer flush with the car seat. Universal design fits most vehicles. MORE DETAILS: Dimensions: 20.8" x 16.9" // Material: the back seat organizer is made out of 600D polyester to ensure durability and eliminate stretching or shrinkage. Waterproof backing protects the car seat upholstery from liquid spills and stains. (to fully protect your Tablet, we suggest that bottles, Sippy cups and cans be kept in the bottom mesh pockets) // Use: multipurpose use as Car Seat Back Organizer, Kick Mat and Car Seat Protector. // Care: wipe clean with soft cloth. 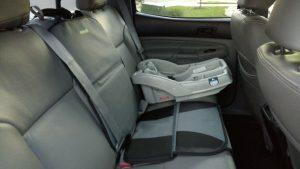 A MUST-HAVE CAR ACCESSORY: Early morning trips to daycare or school, weekend visits to Grand Ma or long vacation travels can all take a toll on parents and kids. We can't promise you to eliminate the stress entirely but with our Backseat Organizer we can raise your travel comfort by reducing the clutter, having essentials organized and keeping your family entertained. Should You Buy Drive Auto Products on Amazon? In our experience, the DRIVE Auto Bin XL arrived quickly and with receipt from Amazon. They also sell directly from the Drive Auto Products website. On their website at time of press, Drive lists a coupon code for $5 off. There they offer other products that may interest you such as car window shades and air purifiers. We hope that you find this review of auto trash bins and bags helpful. Please let us know in the comments what you have used to prevent litter. 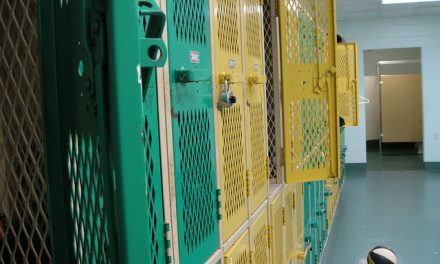 While you’re at it, check out our other reviews for garage sports storage, and a quick run-down of odor eliminators for cars, lockers and sports bags. 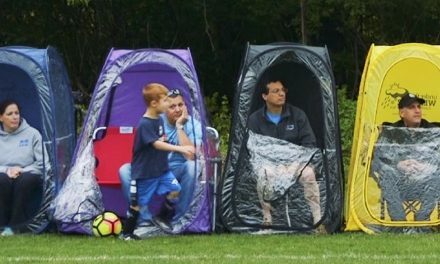 The best sports parent is a prepared sports parent.